Check out Tobi's Abby Striped Off Shoulder Dress Dreaming of picnics at the park? 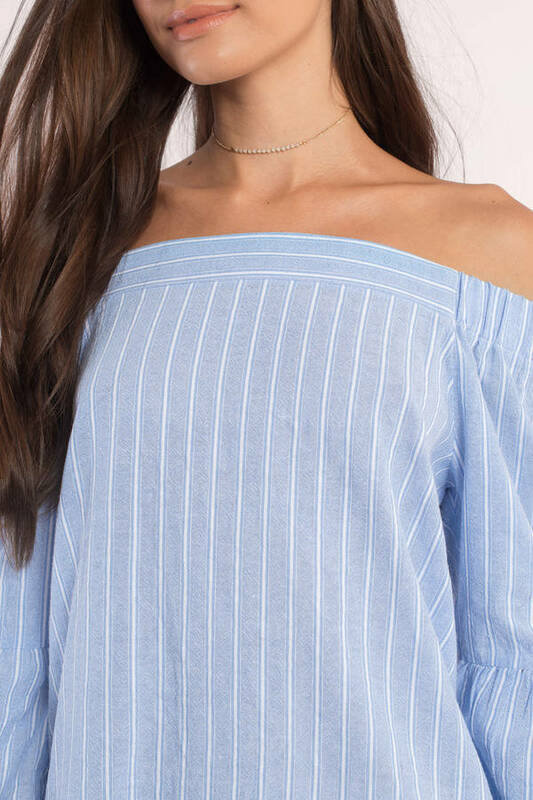 Get ready for stylish outdoor chillin' with the Light Blue Abby Striped Dress. 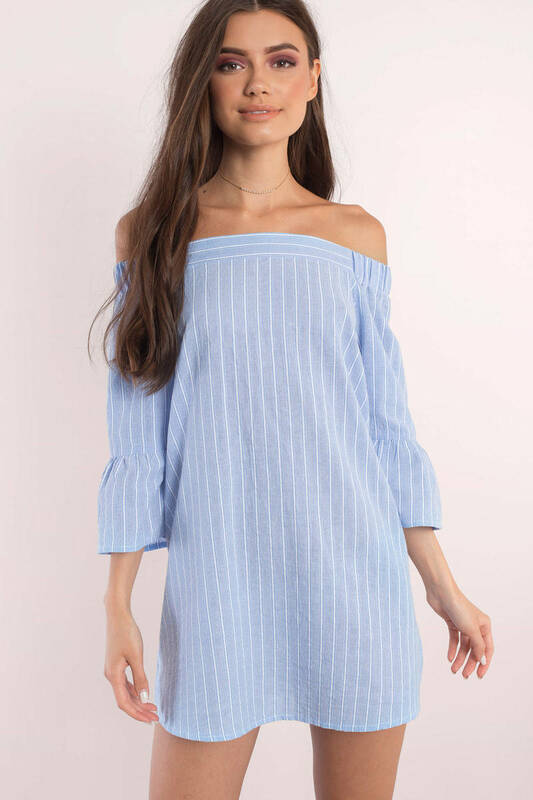 You're going to obsess over this bardot dress with its statement sleeves and off the shoulder neckline made for sunbathing. Team the smock dress with sneaks or wedges and get outside. Dreaming of picnics at the park? 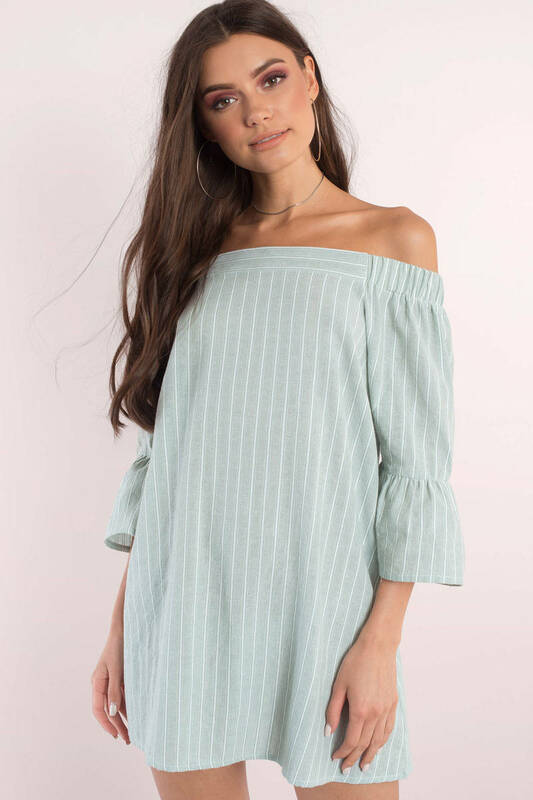 Get ready for stylish outdoor chillin' with the Sage Abby Striped Dress. You're going to obsess over this bardot dress with its statement sleeves and off the shoulder neckline made for sunbathing. Team the smock dress with sneaks or wedges and get outside. Dreaming of picnics at the park? 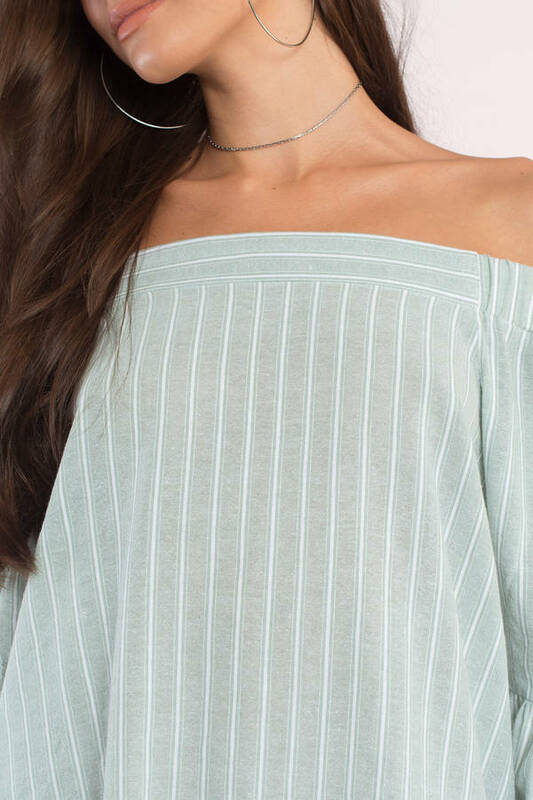 Get ready for stylish outdoor chillin' with the Light Blue Abby Striped Dress. 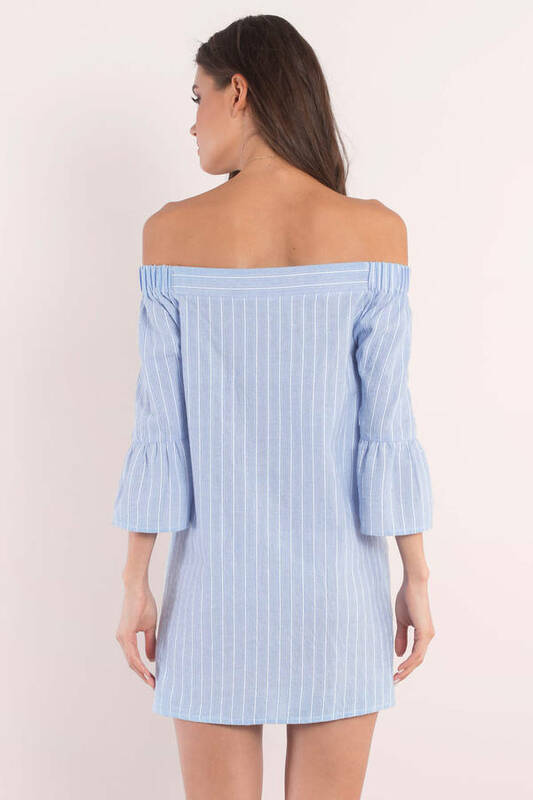 You're going to obsess over this bardot dress with its statement sleeves and off the shoulder neckline made for sunbathing. Team the smock dress with sneaks or wedges and get outside.